As a child, I grew up in India eating mostly Indian food at home. Everywhere around me, my neighborhood, at school and later at university, it was Indian food. Yes, there were the occasional Chinese dine outs or those burgers or pizza lunch dates with the gals. But on the whole, it was roti and dal, curried veggies and rice, tandoori chicken and paneer. Needless to say, I understand Indian cuisine and its basics. I can cook in my sleep and get the flavors and textures correct. When I cook dishes from other cuisines I love to make every dish in its authenticity. I try to keep true to the flavors and textures to get the max experience out of that meal. But every now and then I get the urge to add a cross-cultural twist and I always seek inspiration from my cooking roots. So sometimes tacos aren't exclusively a Mexican affair in our house, they get an Indian twist. 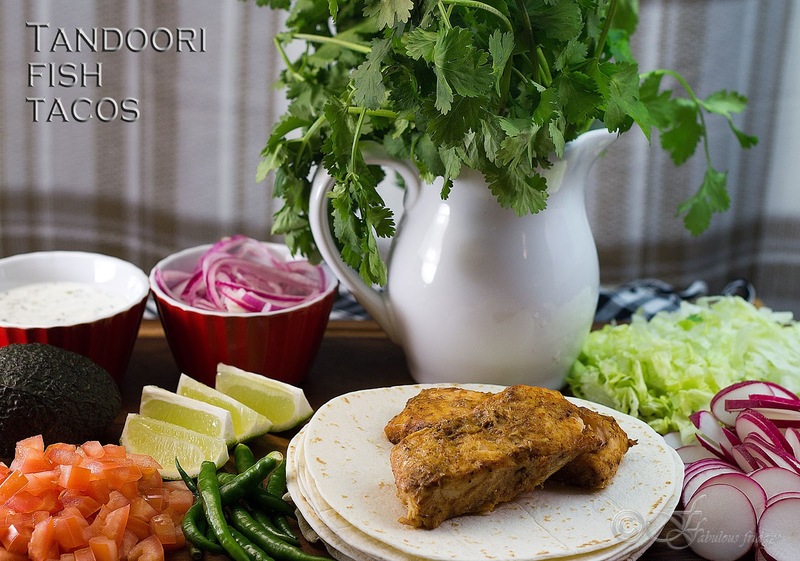 Tandoori fish tacos with radish, tomatoes, green chilies and vinegar onions drizzled with cucumber raita. 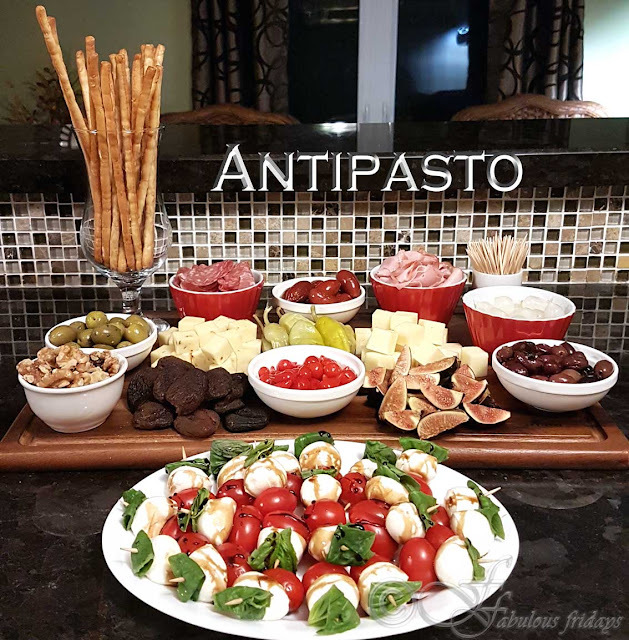 The flavors all blend in beautifully leaving everyone happy. This fusion recipe is sure to spice up your next taco night. It’s a few easy steps to make the fish and raita, then it’s just chopping a few things and heating up everything else. Easy Peasy with very little cleanup. 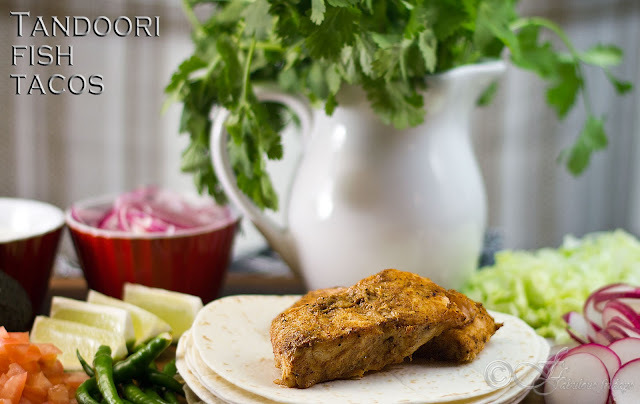 Prepare the tandoori fish as per the recipe. While it is cooking, prep the other things. Vinegar Onions - Slice the onions into thin rings. Add vinegar and a pinch of salt. Mix well, cover and keep aside to marinate for 20-30 minutes. Cucumber raita - Gently whisk the yogurt. Grate the cucumber and add to the yogurt along with salt to taste and cumin powder. Mix well and keep aside. Veggies - Slice radish into thin slices, chop tomato, green chilies, coriander, and lettuce fine. Assemble - Warm the tortillas gently on a skillet. Place the fish in the center. Top with other fixins and just before serving, add lashings of raita (or serve on the side as a dipping sauce).